This is the second in our series of posts this summer highlighting a few of the organizations participating in their first Google Summer of Code. The organizations give a brief description of their project and the tasks the students will be working on this summer. LanguageTool is one of the very few open source style and grammar checkers. It tries to find errors in a text that a spell checker cannot find. This works by matching the text against pattern rules. If there's a rule for the error, it can be found, if there is no such rule, then it can not be found. There's also the risk that a pattern rule matches text which is actually correct, so the user would get a false alarm. This is where our two student projects come in: one project will be adding more rules by reusing rules from other open source grammar checkers, the second student will develop a way for us to test rules that are still in development against a large amount of text. This way we can fix the false alarms before a release. The 'Computational Science and Engineering at TU Wien' project develops software for the simulation of a plethora of physical phenomena. Example applications range from fluid dynamics, to the propagation of high frequency waves and electronic devices such as lasers and transistors, to the mechanical stability of human bones. Our students will be working on the following: Cristina Precup will design a constructive solid geometry input file format that allows users to conveniently specify two-dimensional geometries using boolean operation on primitives such as circles and rectangles. Our second student, Jorge Rodriguez, will investigate a convenient approach to parallelize the volume meshing step for meshes of considerable size. Markus Wagner, our third student, will work on using graphics processing units (GPUs) to accelerate solving the large systems of equations that describe certain physical phenomena. Learning Unlimited works with over 900 college student volunteers to create educational programs for over 6000 middle and high school students across the US. Our programs invite pre-college students to choose between hundreds of topics like quantum mechanics, urban design, Shakespeare, or street drumming and create an environment where it is socially acceptable to share your excitement about learning. Our open source software automates a lot of the processes for running these programs so that college students can focus on making an awesome weekend for younger students. We are mentoring two promising students sponsored by Google Summer of Code. Jordan Moldow joins us from MIT, home of the oldest and largest LU chapter; he will be implementing a new student registration system that is easier to use and gives directors more flexibility in implementing application and lottery processes. Jordan is also planning to improve our application's data viewing and export capabilities. Vishal Dugar, from the Birlani Institute of Technology and Science in Pilani, India, has joined us to implement a custom forms builder. This system will act somewhat like Google Forms, but with backend storage in dynamically generated Django models and the ability to link form fields with model fields in the existing schema. These contributions should substantially enhance the ability of our volunteers to coordinate and support unique educational events at a growing number of universities. These are just a few of the new organizations participating in the Google Summer of Code this year. Please check back next Friday when we showcase additional new organizations. 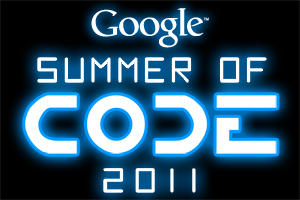 For a complete list of the 175 organizations participating in the Google Summer of Code please visit our program site.